Gotta LOVE these turquoise chandeliers. They are to die for! 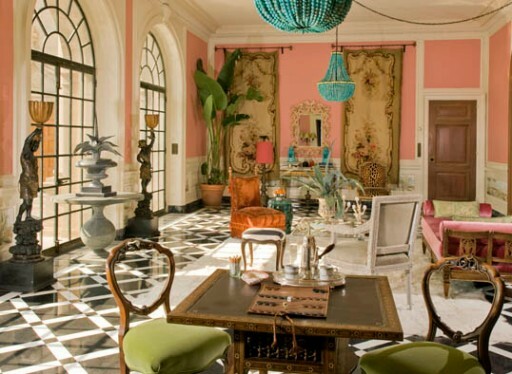 Photo courtesy of Hooked on Houses.net, Southern Accents, House Beautiful and House of Turquoise. Check out these turquoise shutters. Wow! Photo courtesy of House Beautiful.